The inclusion of the live work permit in the 2004 NFPA 70E, for the most part, eliminated high risk “live work tasks”. Live work permit approval requires a full risk analysis of the job, a job plan, and approval of several layers of management. Most often, the high risk associated with live work is deemed unacceptable and can wait until the system is de-energized. The result is better planning and a more robust predictive maintenance program to avoid unplanned shutdowns. The 2000 NFPA 70E birthed new requirements for electrical PPE, which was initially bulky, hot, and afforded limited work task visibility. PPE manufacturers innovated and developed lighter and more comfortable fabric that also protects workers from the high temperatures of an arc flash. These improvements made it cost effective for companies to provide workers with 11Cal/cm2 daily wear1, or enough protection to work on a majority of plant floor electrical equipment. Improvements in face shield lenses for workers increased clarity and visibility during their work tasks and still protected their eyes from the intense light energy during an arc flash explosion. That concludes electrical safety month! If you're a subscriber to the Journal, look for Phil's article in June's publication. Have a great week! 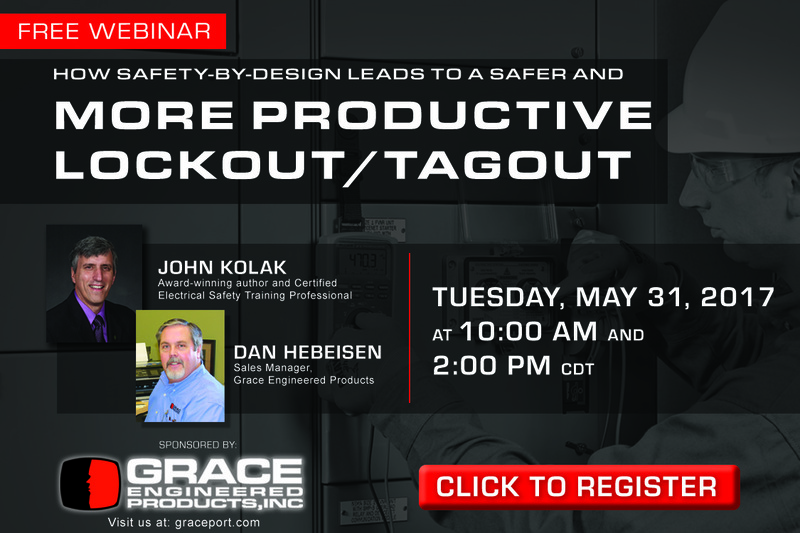 Also: It's your last chance to catch the 2:00 PM (CDT) Webinar!